"How to backpack safely in Asia"
Here's a guide to SAFE backpacking for beginners! 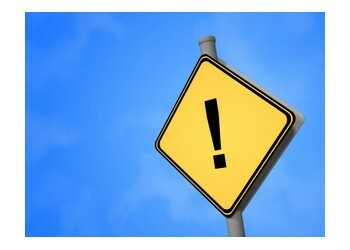 The goal of this article is to prepare you as early as possible, and make you aware of possible hazards. 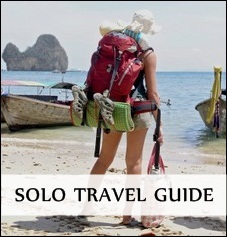 It's generally safe to go backpacking in Asia, whether you're traveling solo or with friends. Just use the same common sense and follow your gut feeling as you would have done in your home country. There are millions of backpackers and tourists traveling around Asia, particularly in Southeast Asia and East Asia. The odds that you might get involved in something dangerous are minimal. Some Asian countries are poorer than others. Remember: No matter how small your budget is, you're still rich compared to the locals. Before you go, talk about your plans with your family and friends. Reassure them that you're aware of the possible risks in Asia. Keep in touch with them during your trip as well. Use e-mail or sms, and tell them where you're heading next and for how long. If you're traveling with someone, make sure you give them their names and phone numbers in case your folks can't reach you. Be extra careful the first weeks after you've arrived your destination. During this time, you'll be jet lagged, tired and probably not in a traveling mood yet. Just because you're not at home, doesn't mean there are no risks. Anything can happen to anybody, either they are cautious or not ... The trick is to find a safe way to get out of it. Always keep an eye on your daybag. Don't leave it hanging over the back of your chair, or lying at your feet. Make sure you carry it so you have the bag in front of you and within your eye reach. If you're carrying your backpack, and you need to go to the toilet ask your travel companion to keep an eye on it. Even fellow travelers steal from each other (sadly). Don't ever leave your belongings unattended. In non-touristy areas, put your camera in your daybag, don't hang the camera around you like an 'obvious tourist'. Copy your pictures to a disc or an USB-pen. Then store it in your backpack or a hotel safe. If your daybag gets stolen, you've at least made copies. Losing pictures and great memories is one of the worst scenarios. You can buy a new camera, but not new memories. Don't wear jewelry or watches that are expensive, or look expensive. If thieves think it's expensive they will rob you anyway, even though it just cost you five bucks. Be careful if anyone knocks into you on the street - check if all your belongings are safe and secure. The food and drinks in Asia are in general safe, especially in the tourist areas. Only go to places where there are crowds, whether it's restaurants or food stalls. Find valuable tips on what to watch out for when eating and drinking in Asia. And not to mention, how to maintain hygiene. Don't pull out loads of cash on crowded places. This draws attention and signalizes that you're carrying lots of money. Watch out when purchasing an item: when you get your change, check if the bills are taped, old, dirty, torn etc. Old bills might be hard to use as payment for later purchases. Some may not accept the money at all. Don't bring your passport with you the whole time. Your passport should be stored in a safe place. When you're shopping, sightseeing or just living the backpacking life, bring a copy of your passport, but not the original. Avoid rooms on the ground floor, if possible. Keep your bags away from the window. Not all doors and windows are secured properly at the guest houses. Use one of your padlocks to secure the room, if possible. If you think you're lost, STOP! Sit down, relax and don't panic. Look out for landmarks and the position of the sun to orientate yourself. Don't start moving until you work out where you are. In the big cities, take note of the address to your guest house or hostel. Ask the staff if they can translate the address to their native language. This way, any driver should be able to take you there, and locals will be able to point you in the right direction if you're lost. If you get lost, this is the time to pull out the note with the address to the guesthouse. Call your embassy as soon as possible, if you get arrested or get in trouble with the police. The embassy will send a representantive, and offer advice on how to obtain legal assistance. Remember that your country's consular services apply when you get arrested abroad. It's stated under the Vienna Convention on Consular Services (1963), which is accepted standard for all member countries. This means that you have access to consular representative. Immediately request the local authorities to contact the consular representative in that country. However, the embassy will have little sympathy if you're caught trafficking or possessing drugs. Ask to see some identification if you're suspicious of anyone who says they're a police officer and asks for a large sum of money, information or to search your room or your possessions. Here's the ultimate rule to safe backpacking: Never let anyone you don't know carry your backpack or daybag (without your supervision). I'm afraid that many innocent travelers have been caught with narcotics in their bags, even when they didn't know about it or didn't have anything to do with it. If someone you know goes missing in foreign territory, please contact your local police station. They will co-operate with the relevant foreign police. The embassies can't trace missing persons. A tip is to register your travel to your embassy when you arrive in a new country. If you're an American traveling in Thailand, seek the US embassy in Bangkok. Registration is usually free, easy to do and you can register online. So spending a couple of minutes to register, is kind of a life "insurance." 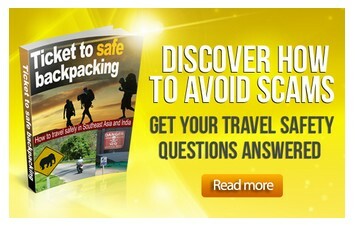 Do you want more detailed information about safety in Asia? 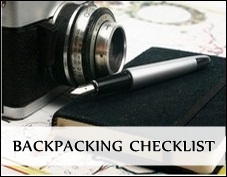 How can you prepare yourself for backpacking in Asia? This safety article is a taste of what you can expect in one of my ebooks, "Ticket to safe backpacking." 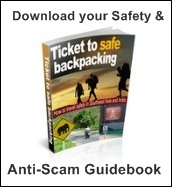 This ebook details everything concerning backpacking safety and how to avoid scams while traveling. What are the potential dangers in Asia? 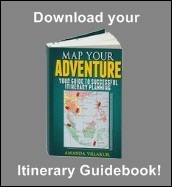 Have Tips on How to Travel Safely in Asia? Share it with us right here!